Finding Your Monad: “Xenoblade” and Leibniz. We are about to bear witness to the birth of a universe. Once, only a god could perform such a miracle. You might reasonably wonder exactly where an enterprise named With a Terrible Fate could go beyond the analysis of “Majora’s Mask.” However, I believe that my analysis of the game over the last four months has, beyond examining the architecture of “Majora’s Mask” as a work of art, has provided the basis for a mode of general video game criticism. The major points I draw your attention to are best articulated in my works of line analysis on the first line and last line said by the Happy Mask Salesman in the game. If we want to be snarky about it, we can refer to the analytic mode I have in mind as ‘the Majoran critique’: ‘examination of the narratological architecture of a universe, the metaphysics of which reflect existential contingency on an agency exogenous of that universe.’ Put another way: we’ve seen that Termina very deeply depends on the player as a character in its story in order to exist. This mode of literary criticism takes player agency as a crucial, central element to the stories of video games, and aims to uncover how different games architect worlds and stories in relation to that agency. If you want to read more about this, you’re in luck. I wrote an academic paper about it, which you can check out here. Drawing from various parts of my analysis of “Majora’s Mask,” the paper models how the game creates a world whose coherence and narrative are functions of the player as a participant. But it’s sometimes easier to teach by example. So today, “Xenoblade Chronicles” meets With a Terrible Fate. Before proceeding with analysis, a disclaimer. I never felt the need to warn about spoilers in “Majora’s Mask” — partly because I’m a delightfully callous video game analyst, and partly because, as far as RPG’s go, the narrative of “Majora’s Mask” doesn’t really depend on sudden twists and turns. “Xenoblade” thrives on twists and turns, and I promise you that the narrative is far more rewarding if you experience it for the first time by actually playing the game. This analysis will heavily focus on the end of the game — and, callous analyst that I am, I’m going to be using spoiler-worthy details all the time. Consider yourself warned. “Xenoblade” has become a modern classic in gaming, to the point where its main character, Shulk, has “earned a spot” in the latest iteration of the “Super Smash Bros.” series. The reasons why it’s enticing are pretty clear: it’s a great example of a massive overworld, with a lot of potential for exploration, and an epic-length plot to match. It’s a world with rich history, and this history stretches out before the player in two directions: ontologically, the side quests of the game offer tremendous insight into the ancient history of species and civilizations across the world; metaphysically, the game’s main plot reveals how the world itself came into existence, and how the world functions as a closed system. There are also subtler aspects that make the game memorable. For one, it’s directly informed by Leibniz’s metaphysics — the sword upon which the plot turns is called “the Monado,” a direct reference to Leibniz’s monadology, something to which I will return later. It’s also a great example of storytelling that utilizes thematic mirroring of the macrocosm and microcosm: the same questions of identity and teleology emerge in the case of individual characters as emerge on the universal scale. I offer this all by means of background; the point is that there are a lot of different things one could say about “Xenoblade,” because it’s an appealing game from a variety of angles. What I’m going to do in this article, drawing in part from the different game elements I just mentioned, is use the theoretical machinery first outlined in my work on “Majora’s Mask” to defend the following thesis: the narrative of Xenoblade describes the ‘death of the author’ by transferring metaphysical authority from the game’s creator to the player. Leibniz’s metaphysics is grounded in his theory of monadology, which describes the real world as constituted by mind-like substances with perception and appetite, but without extension. These substances are called ‘monads’, and physical entities in this framework are understood as less-real phenomena grounded in the interactions of these monads. Each being can be described by a ‘dominant monad’, which in living beings (e.g., humans) is equivalent to a ‘soul’. Importantly, each monad, while lacking extension, possesses a unique perspective with respect to all other monad — and, consequently, to the world. ‘God’, which we can frame here as something like a ‘first cause’ in the causal chain of the universe, is knowledgeable of all monads, and therefore perceives the universe from all perspectives at all times. So much for Leibniz, for the moment. Moving to “Xenoblade”: the Monado is a sword which, over the course of the game, reveals itself to be a tool that allows its wielder to see and change the world’s future. The explanation of this is that the sword is able to tap into the flow of ether, the fundamental element of the universe; as ether constitutes the world, its flow, by extension, is numerically identical to the causal chain of the universe as it moves forward in time. This turns into a plot point and game mechanic because, by virtue of viewing the future as it presently stands, one (Shulk / the player) is able to take actions to change the future, altering the causal chain as the universe proceeds in the forward direction. 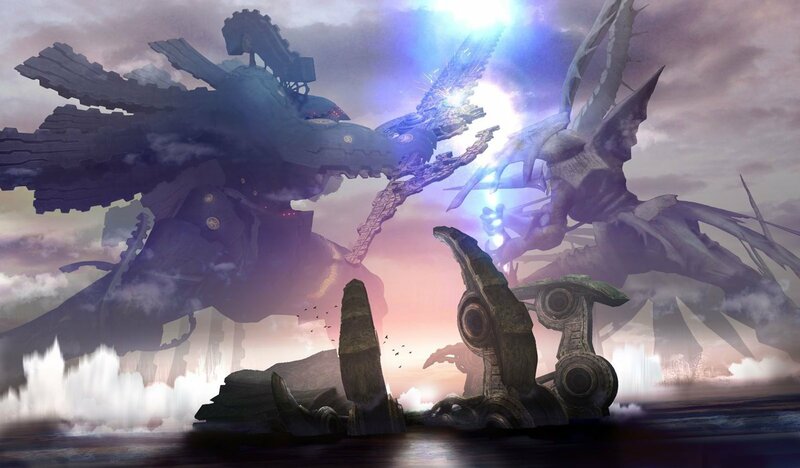 “Xenoblade” is also a world of gods, and a story of killing the Zanza, the god who claims ownership of the universe. In the final moments of the game’s main plot, the ontology of the universe is explained to Shulk (27:24 in the video; we will return to the matter of who explains it to him in just a moment). We learn in the final moments of the game that the universe was created by two scientists — Klaus and Meyneth — who, in turn, entered the universe and became its gods, with Klaus taking the name of “Zanza.” The world created by Klaus consisted of two enormous titans, the Bionis and Mechonis, serving as manifestations of Zanza and Meyneth, respectively; Zanza thrust the universe into a state of decay and rebirth, in order to ensure that the creatures of the world would never forget his place as their god. Meyneth, however, did battle with Zanza, believing that the people of the universe they created should not be subservient to gods. In the battle, Meyneth was rendered dormant, and Zanza was imprisoned on the Bionis. Ultimately, it is revealed that Zanza had inhabited the body of Shulk, the player’s main character; at the climax of the game, he shrugs Shulk off in a way similar to Majora’s Mask shrugging off Skull Kid; he takes Shulk’s Monado, and moves to destroy the world and create a new one yet again. Meyneth, who had inhabited the body of Shulk’s childhood friend, Fiora, manifests herself, summons her own Monado and dies fighting Zanza. Zanza claims both Monados and leaves to complete his plot; but Shulk and his friends return to challenge Zanza. When Shulk first confronts Zanza, he finds that he cannot properly anticipate the future, because Zanza is the god wielding the Monados. Yet as the battle continues, Shulk’s resolve strengthens, and a third Monado appears in his hands. Throughout the game, the Monado has shown symbols on its hilt reflecting the creatures it can fell; in the moment when the third Monado appears, it bears the symbol for “god.” Shulk reclaims his ability to see the future, declaring that “the future doesn’t belong to [Zanza],” and he kills the god. At this point, something unexpected happens: Alvis, a man who has guided Shulk from the periphery of the narrative for much of the game, reveals himself to actually be Monado itself, and says that Monado is “the administrative computer of a phase transition facility.” He then tells Shulk the history of the world, beginning with how Klaus and Meyneth created it in an experiment on a space station; he ends by saying that, in killing Zanza, Shulk has become the new god, and must choose the world he wants to create. Shulk decides to create “a world without gods,” which is “boundless” in nature. One of the metaphysical stratifications to notice in games that refer to their own universe from outside of it — like “Xenoblade” — is the difference between the universe as conceived within the game, and the totality of the universe established by the game. Klaus and Alvis are both literally within the game, but they are also outside of the universe described by the game, which Klaus created in his “phase transition” experiment. The player, too, is outside the universe conceived by the game, but is still an agent within the game’s narrative. A return to monadology will explain what I mean here. Recall that monads, the fundamentals of reality, describe the causal chain of the universe, according to Leibniz. God sees from the perspective of all monads at once and is therefore omniscient. 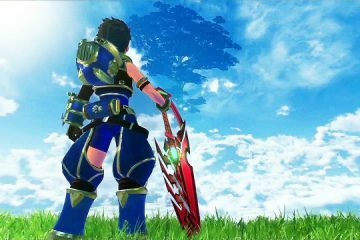 This coheres with the usage of ‘Monado’ within “Xenoblade”: Klaus uses a system administrator to facilitate the construction and maintenance of his own universe; as its creator and the progenitor of the Monado, he knows the totality of its causal structure, and is able to inhabit whatever perspective he wishes — as when he inhabits Shulk’s body. When Zanza first exits Shulk’s body and reveals himself, he speaks to this effect: “Do not be surprised,” he tells Shulk’s friends, “everything in this world is dictated by the passage of fate. As all that exists is interconnected, time can only flow toward the inevitable. That is the vision of which I, the Monado, am the origin.” By equating himself with the Monado, Zanza is describing himself as the first mover in the causal chain — which, as the universe’s creator and god, he is. We can say that Zanza is the dominant monad when the entire universe as conceived by the game is taken as a closed system. If the metaphysics of Leibniz were imposed on the universe of a film or book, then this would be the end of the story: there is nothing beyond a god who is the causal chain of the universe. But we have already seen that games have a different set of narrative mechanisms in their toolkit, and it is player agency that allows this story to end with the death of a god, as opposed to his conquest. There’s an even stronger claim that we can make about “Xenoblade” at this juncture, which drives home just how well-composed its story is: from the beginning of the game, the only possible outcome is the destruction of the current universe. Of course, the player has no way of knowing this at the start of the game, but it is clear in hindsight: the universe, as conceived within the game, operates in accordance with Leibniz’s metaphysics. This entails a closed, determined causal structure, of which God is omniscient. The instigation of another metaphysical entity with the capacity to alter this causal structure — namely, the player — breaks the deterministic causality of the universe as previously conceived. It follows that the only outcome for the universe, once the player is introduced to it, is decomposition; so, besides oblivion, the creation of a new universe at the end of the game is the only logically possible conclusion. 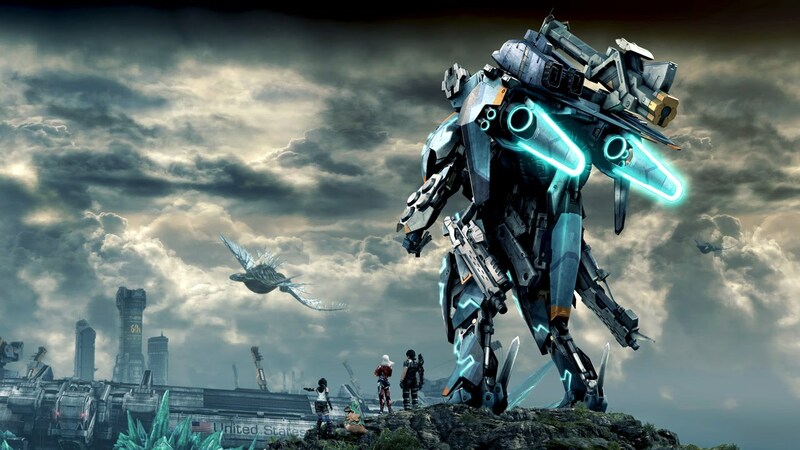 “Xenoblade” does something remarkable on the level of second-order narrative: it shows how video games can be used in aesthetically powerful ways to create a universe with a complete metaphysics, and then perturb those metaphysics with an external agent. A universe of Leibniz’s metaphysics leaves all being subordinate to god, which reflects the structure of games as a program, the path of which is determined prior to the player ever finding it; yet the design of the universe as something that can be externally observed allows the player to disturb the universe’s determined structure, and tell a story whose narrative arc is only valid by virtue of the player’s interference. This feature, then, reflects the value of the player acting upon the program of a game to bring its narrative from the realm of possible paths into the reality of a single path from start to finish. How does this deal with the death of the author? Well, with the analytic work in place, a generalization of Figure 2.1, shown below as Figure 2.2, has an answer for us. The game designer, or ‘architect’, designs a universe through and within the confines of a game system. Also through the game system, a character is instantiated through which the player is able to enter the game’s universe (the ‘avatar’). The game’s architect is in a position to establish a world with a particular metaphysics, which can be as complete as a gloss of Leibniz’s theory; and in this way, the internal structure of the game’s world is a remnant of its designer, who is analogous to the world’s ‘God’. Yet the player, by virtue of connecting with the avatar, is able to exert agency from outside of the universe’s closed system, and is thereby able to perturb the world’s initial structure, as architected by its designer. In this way, the narrative of a game can be described as the perturbing of the world’s prior structure by introduction of a metaphysically external agent. We saw “Majora’s Mask” metricized a certain way in terms of Termina’s metaphysical dependency on the player; “Xenoblade” shows us that this can be generalized, and that, as Alvis says, it can be described well as a “phase transition.” An effective way for games to tell stories, we see, is by setting up a world so ordered as to have been designed by a god, and then introducing a being with the power to kill that god by subverting the world’s metaphysics. This is precisely how games, to paraphrase Klaus, allow their players to give birth to a universe — a miracle that was once reserved for gods. Teaser Metaphysics: Storytelling in Xenoblade X.
I argue that Xenoblade Chronicles X falls short where Xenoblade Chronicles succeeded. Critical Review: Xenoblade and Leibniz. With Xenoblade X releasing tomorrow, I revisit and update my work on Xenoblade Chronicles.